[Electronic cigarettes, EC] aerosol can contain some of the toxicants present in tobacco smoke, but at levels which are much lower. Long-term health effects of EC use are unknown but compared with cigarettes, EC are likely to be much less, if at all, harmful to users or bystanders. EC are increasingly popular among smokers, but to date there is no evidence of regular use by never-smokers or by non-smoking children. EC enable some users to reduce or quit smoking. Conclusions: Allowing EC to compete with cigarettes in the market-place might decrease smoking-related morbidity and mortality. Regulating EC as strictly as cigarettes, or even more strictly as some regulators propose, is not warranted on current evidence. Health professionals may consider advising smokers unable or unwilling to quit through other routes to switch to EC as a safer alternative to smoking and a possible pathway to complete cessation of nicotine use. Claim: Chemicals in EC cause excess morbidity and mortality. Evidence: Long-term use of EC, compared to smoking, is likely to be much less, if at all, harmful to users or bystanders. Claim: Smokers who would otherwise quit combine EC and cigarettes instead of quitting and maintain a similar smoking rate. Evidence: EC use is associated with smoking reduction and there is little evidence that it deters smokers interested in stopping smoking tobacco cigarettes from doing so. Claim: Young people who would not try cigarettes otherwise start using EC and then move on to become smokers. Evidence: Regular use of EC by non-smokers is rare and no migration from EC to smoking has been documented...The advent of EC has been accompanied by a decrease rather than increase in smoking uptake by children. Claim: EC use will increase smoking prevalence indirectly, e.g. by making smoking acceptable again in the eyes of people who cannot tell the difference between EC and cigarettes, via machinations of the tobacco industry, or by weakening tobacco control activism. Evidence: There are no signs that the advance of EC is increasing the popularity of smoking or sales of cigarettes. In other words, the far-fetched claims by anti-tobacco zealots are derived from thin air, not vapor. The article is authored by established tobacco harm reduction advocates Peter Hajek, Jean-Francois Etter and Hayden McRobbie; and two Americans – Tom Eissenberg, a member of the FDA advisory panel on tobacco with a moderate record on e-cigarettes and tobacco harm reduction, and Neal Benowitz. The latter is a surprise, as Benowitz has previously opposed tobacco harm reduction (here and here) and last year endorsed gateway speculation about smokeless tobacco (here). It is welcome news that he has aligned his view on e-cig vapor with his position on marijuana vapor. A milestone in the fight for harm reduction was reached on July 28, when the New York Times formally endorsed the legalization of marijuana. 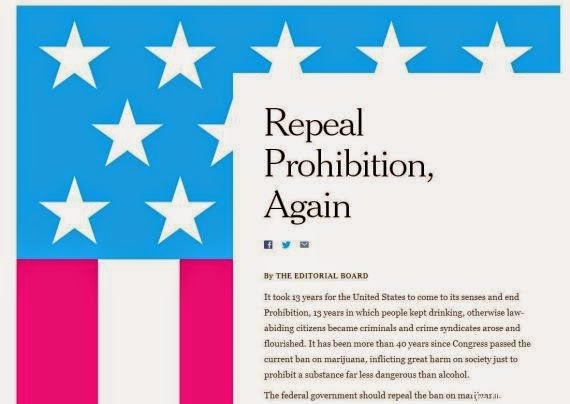 A Times editorial, “Repeal Prohibition, Again,” called for reversal of the government’s 40-year ban on the popular weed (here). Legalization is overdue, as use of this psychoactive substance that is less dangerous than alcohol has led to the senseless prosecution of hundreds of thousands of Americans. “Thanks for taking my recent phone call. First, the proposal: that smokers unable or unwilling to quit consider switching to smokeless tobacco, which is far safer than smoking. Smoking-related cancers, heart diseases and lung disorders are responsible for 419,000 deaths every year in the U.S.A. In contrast, if all 46 million American smokers instead used smokeless tobacco, annual tobacco-related deaths (from a small risk of oral cancer) would number only 6000 [references here and here]. In fact, smokers who switch to smokeless tobacco reduce their risk for all smoking-related illnesses, including oral cancer. Newer smokeless tobacco products deliver the nicotine kick smokers crave and they can be used almost invisibly; spitting, once the stigma of smokeless tobacco use, is minimal or nonexistent with these products. Smokeless tobacco is already working for many Americans. 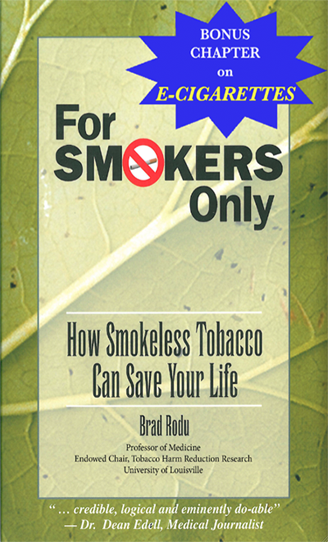 Statistics from the Centers for Disease Control and Prevention (CDC) show that 1.5 to 2 million former smokers have chosen this option on their own [reference here]. “I realize that your organization is only concerned with illicit drugs. However, the current tirade against tobacco use(rs) demonstrates alarming parallels to the long-term crusade against other drugs. First, as tobacco use is increasingly characterized as not just unhealthy but immoral and criminal, users are now experiencing an alienation process similar to that of narcotics users in the first three decades of the century. 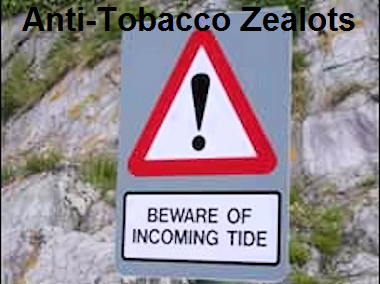 Health professionals with ideas on the medical management of nicotine addiction are being ignored or attacked. A cadre of prohibition-minded anti-tobacco activists has insisted on increased federal regulation (FDA, OSHA, EPA etc.) of tobacco use, which is endorsed without a hint of dissent by all major medical organizations. In fact, tobacco use is the only major medical issue in which there is no debate whatsoever. Prohibition may not be imminent, but smuggling from low to high tax states and the disastrous effects and ultimate reversal of the recent Canadian tax increase offer a great preview of where the crusade is headed and what the consequences will be. Mr. Nadelmann invited me to share my observations at drug policy reform conferences in 1999 and 2001. Tobacco harm reduction has been explored at various other drug policy meetings over the last decade. Advocates of tobacco harm reduction will recognize several themes in this passage. First, there are no apparent health risks for moderate marijuana use (and even fewer health risks for smoke-free forms versus combusted), just as there are no significant risks related to the use of smoke-free nicotine/tobacco products. Second, the “fanciful” gateway claim is as illegitimate for smoke-free tobacco as it is for marijuana. Finally, while it is appropriate to protect children from substance use, there is no credible reason to deny adults access to alcohol, tobacco or marijuana. The Times has effectively advanced the cause of harm reduction, perhaps to the ultimate benefit of tobacco users and of public health generally. “The presence of conflicted members on [FDA Tobacco Products Scientific Advisory Committee, TPSAC] irrevocably tainted its very composition and its work product” and “the Committee’s findings and recommendations…are, at a minimum, suspect, and, at worst, untrustworthy.” So ruled federal judge Richard Leon this week (here). TPSAC was structured to exclude qualified authorities who have had industry support. Experts with industry support are not precluded from serving on other FDA advisory committees, in which scientific issues are more important than industry demonization. Judge Leon’s ruling bars the FDA from using a 2011 TPSAC report on menthol, and it also “enjoins the FDA to reconstitute TPSAC’s membership so that it complies with the applicable ethics laws.” Dr. Samet is the only conflicted member remaining on TPSAC, as chair (until 2016). Another member, Claudia Barone, may have a conflict, because she received a Pfizer Educational Grant through 2013 and was appointed to the TPSAC on April 1, 2014 (here). Although the ruling applies specifically to committee actions on menthol cigarettes and dissolvable products, it is relevant to all TPSAC activities until conflicted members are removed. It is common for experts to be co-opted by financial support from organizations committed to a tobacco free society, a euphemism for the obliteration of the tobacco industry (an objective that is at odds with the principle of regulation). Any individual who is funded by organizations such as the American Cancer Society, the American Heart Association, the American Lung Association, the National Cancer Institute, the Centers for Disease Control and Prevention, or the Robert Wood Johnson Foundation should be ineligible for membership on TPSAC. The irregular counting continues today, and the discrepancy between NHIS and NSDUH is actually growing. Earlier this year the CDC released its count for 2012, which is 42.1 million (here), based on NHIS. My analysis of the 2012 NSDUH, which is sponsored by the federal Substance Abuse and Mental Health Services Administration (SAMHSA), indicates that there are at least 51.6 million adult smokers. That’s a difference of nearly 10 million smokers! 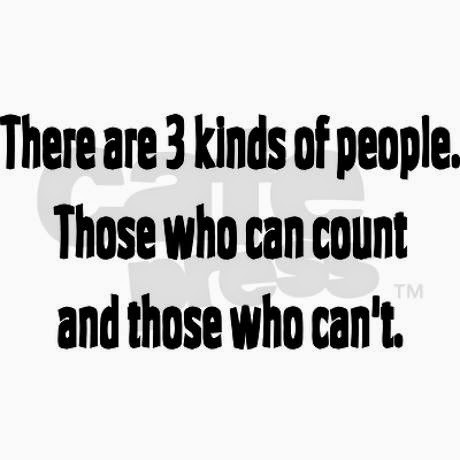 My research sheds light on this discrepancy (here). It’s time for the federal government to acknowledge their data conflict, and resolve it. The loss of American sports heroes is often accompanied by an outpouring of grief. But the death of San Diego Padre star Tony Gwynn from salivary gland cancer was dishonored by a federal official (here) and other uneducated or unprincipled opportunists (here, here, here and here) who used it to further an irresponsible campaign against smokeless tobacco. The fact is that salivary gland cancer is extremely rare, about 23 cases per million men each year. Epidemiologic studies have not established a definitive cause, but they show that radiation therapy, alcohol and hair dyes are possible risk factors (more information here). Tobacco use is NOT. This is completely false. King surely knows that the vast majority of mouth cancers are associated with smoking, alcohol abuse and/or human papillomavirus infection. Numerous epidemiologic studies have documented that there is no mouth cancer risk associated with American moist snuff, chewing tobacco or Swedish snus. In another attack on smokeless tied to Mr. Gwynn’s untimely death, periodontist Dr. Sanda Moldovan took to The Huffington Post with total disregard for science and fact (here). “Nicotine is a silent killer with any number of different kinds of cancers,” she wailed. Decades of scientific studies have established that nicotine does not cause cancer at all. In fact, nicotine is not the cause of any disease related to smoking. I don’t blame Tony Gwynn for desperately trying to find a cause for the cancer that took his life. In blaming smokeless tobacco, he was wrong, but that doesn’t attenuate the sense of loss all of us feel when a legend’s life comes to a close. However, Gwynn’s life and last struggle are dishonored when extremists torture the truth and disrespect science.